Superior Court Judge Steve White. On Friday, 57-year old Love Davis Jr. was sentenced to 57 years to life in prison for his June 30, 2016 conviction for carjacking and evading an officer with willful disregard. 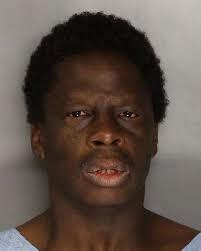 On March 24, 2015, Davis accosted a 58-year-old woman and pushed her away from her car, which was parked at a gas station on Auburn Boulevard and Watt Avenue in Sacramento. The victim struggled with Davis, but Davis jumped into her car and drove away, dragging the victim several feet on the pavement. Minutes later Davis was spotted by the California Highway Patrol and a pursuit began that lasted nearly an hour and covered four counties, including Sacramento, Placer, Yolo, and Sonoma. Davis drove nearly 110 mph, drove the wrong way, ignored stop signs and stop lights, passed on the shoulder and center divider, wove in and out of traffic, and finally crashed into the concrete median near the intersection of 65th and Highway 50. Davis’ criminal history includes two prior strike convictions for robbery and first-degree burglary. He also has multiple past convictions for possession of stolen cars, evading police, theft, resisting arrest, possession of stolen property, possession of tear gas, and possession of meth in prison.